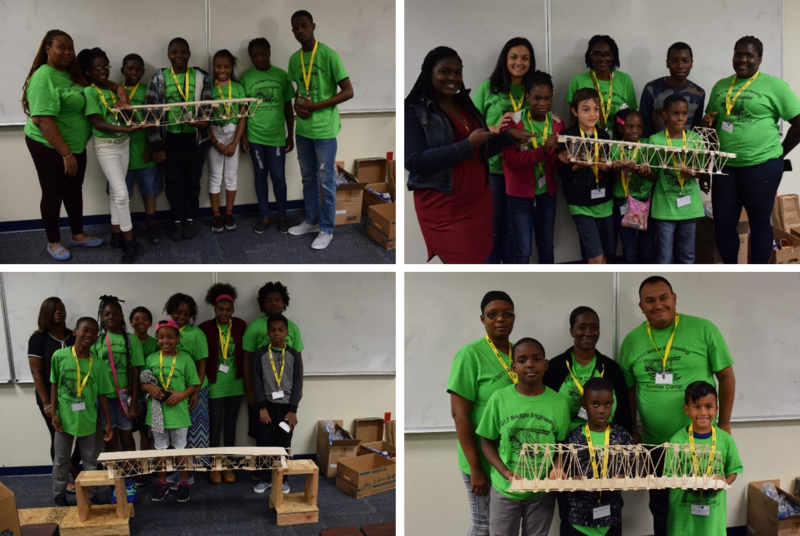 This page contains a summary of the activities and resources from the 2017 Parent/Child Bridge Engineering Summer Camp. 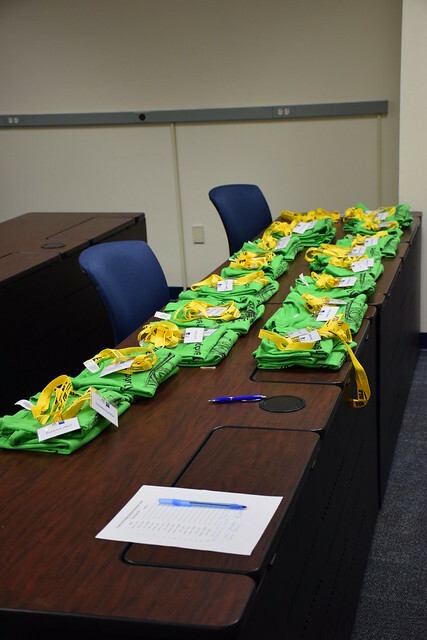 For more information on the camp or ABC-UTC Workforce Development activities, please contact David Garber. Thank you to all the participants, sponsors, and helpers who made this event possible! The three-day camp kicked off with breakfast and a welcome and introduction to ABC by the Director of the ABC-UTC, Atorod Azizinamini. 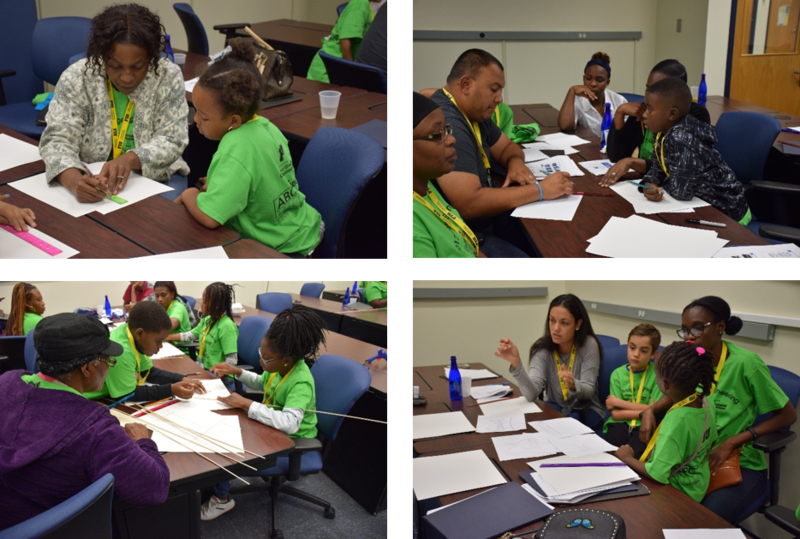 The first activity of the camp was an introduction to structural engineering through a paper bridge activity. Families saw how a piece of paper can be made into a beam that can hold a large amount of weight simply by folding it to change its cross sectional geometry. A handout with the details of the activities can be found HERE. After an introduction to bridges, families explored the ways different types of bridges support the loads of vehicles and cargo using a free software called Bridge Designer. This software is available for free from http://bridgecontest.org/resources/download/. This software was used to develop ideas to be used for the balsa wood bridge project. After a brief introduction to the balsa wood bridge construction project, participants built their designs and tested them for strength and durability. Rules for this competition can be downloaded HERE. The group then toured the Wall of Wind facility, one of the world-class facilities housed at FIU. Some of the testing at WOW can be viewed live HERE. Families watched a Dewan (a PhD student at FIU) use forms made of plexiglass and hot glue to cast FlexFoam beams simulating the precasting and prefabrication processes used in Accelerated Bridge Construction. Construction of the balsa wood bridges was then finished. All four groups successfully finished their bridges! Bridges were then tested by driving a car carrying 1lb over them. The group then went to FIU‘s main campus for a visit. Families were told about a scholarship program for high school students called Raise.me, which gives high school students the opportunity to earn scholarship money for various achievements (including earning A’s, volunteering, and going on FIU tours). The last day of the camp started off at the Miami Beach Urban Studios (MBUS). MBUS is an FIU campus with a focus on 3D printing. The families were able to get a taste of 3D printing and see the potential uses for it during their visit to MBUS. Dr. Lee, a faculty member in CEE with expertise in 3D printing in civil engineering, introduced families to the engineering of soil and then led them through a 3D printing activity. Families with interest in 3D printing and MBUS can visit their website. The group was then given a tour of MBUS by John Stuart, the Associate Dean for Cultural and Community Engagement and Executive Director of MBUS. 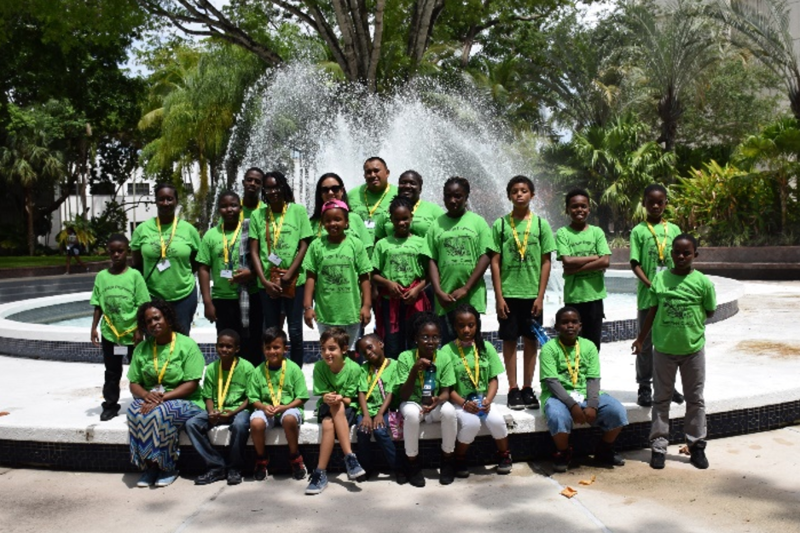 The final camp activities were held at the YOUmake makerspace at the Miami Beach Regional Library, part of the greater Miami-Dade Public Library System (MDPLS). Participants enjoyed a tour of the Library with the children’s librarian and an introduction to the YOUmake facility resources and services by Mr. Marlon Moore, the project’s coordinator. Families then had an opportunity to partake in hands-on experiences at a variety of STEAM activity stations coordinated by Athanasia Fitos and digital media creation with Mr. Moore. Ms. Fitos then talked to the families about all the free resources available through the Miami-Dade Public Library System. After afternoon stations, the families were all given certificates for their attendance and a K’nex Introduction to Structures – Bridges kit to continue their learning at home.